This film is based off a book entitled "Thor" in which it follows the perspective of a dog named Thor as he deals with his human family's encounter with a werewolf. Now for this film they did change it to being mostly the perspective of the family with the occasional view of the dog. It's obvious why they did that and for me it works just fine. This film follows a pretty basic story that follows a mother and son who has her brother come live with them after he got back in town from a trip to the jungle. Uncle Tom desperately tries to hide and contain the beast inside of him. This film really delves into the uncle's struggle with his curse and how he desperately tries to hide it. It becomes a little more of a character piece than a gory bloodbath, but don't get me wrong it does have some great gore! The amount of characters is down to only a handful which helped me really get into the characters and what they are going through. 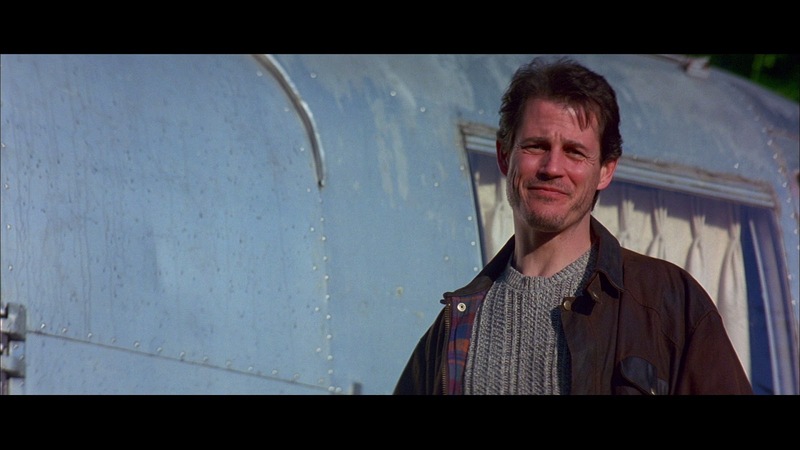 The character I connected with the most was Uncle Ted played by the great Michael Pare (The Philadelphia Experiment). Michael did such a great job at showing the emotional struggle that is tearing his character apart. The rest of the cast is great as well and I connected with their characters also, but I liked Michael just a tad more. 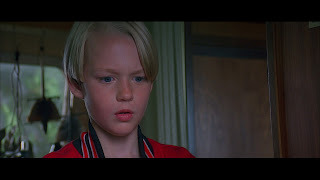 I wanted to mention that the kid in this film is played by Mason Gamble who was in a childhood favorite film of mine which was Dennis The Menace. 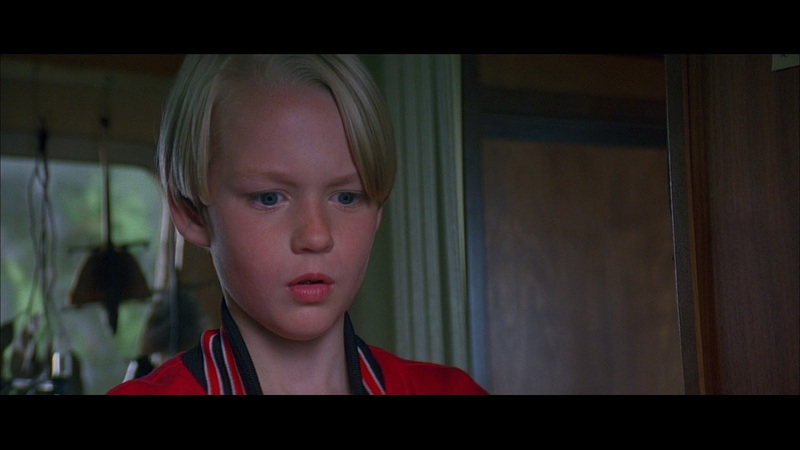 He actually was great in this film and did not get annoying like some child actors can be. Now when it comes to the special effects and gore they are simply awesome, even with the bad early CGI used to enhance a transformation scene. 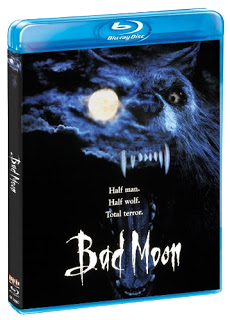 The man behind the werewolf effects in this film is Steve Johnson who has worked on a ton of great films which includes "Leviathan", "Lord of Illusions", "Ghost Story", and "Predator". 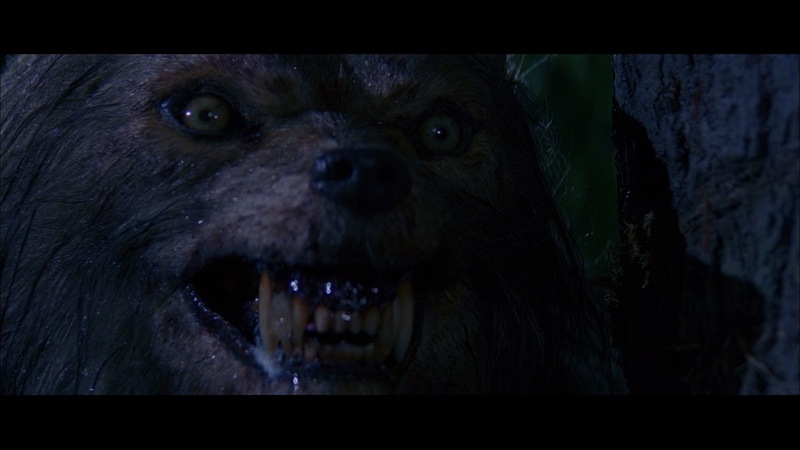 He did an awesome job and the werewolf reminds me alot of the ones from Dog Soldiers and Ginger Snaps. The gore is great as well and the scene that I loved the most was when this guy out in the woods gets his head chomped down on from above and the blood runs down him like a geyser. It's a little over the top, but it's pretty damn brutal. Overall this is a really good film that I think more people do need to give it a chance and don't let it being made in the mid 90's discourage you from watching it because it is better than you'll expect. This release is great and it is filled with some very informative special features that help you dive into the making of the film. Also this release comes with both Theatrical Cut which just has less gore and the Director's Cut which comes with all the gore intact. If you are a fan of this film then this will be a great upgrade from your DVD!